WHAT: While Diabetes is one of the most common ailments for humans, dogs and cats, it is uncommon in horses. However, the related condition of Insulin Resistance (IR), also known as Equine Metabolic Syndrome (EMS) is very common and increasing in a very similar way to diabetes in humans. As insulin resistance progresses, the horse’s cells become less and less sensitive to the natural insulin that is being produced. Insulin is an important hormone that is produced and released by the pancreas. Following a meal containing sugars or starches, insulin is released in response to the increase in blood sugar levels. Insulin then stimulates the body to pick up this circulating glucose from the blood. Once in the cells, glucose is used for energy, or is stored as glycogen or fat. Horses suffering from IR show a breakdown of this critical process. When the equine’s body fails to regulate, metabolize, use and store glucose properly, the horse will shows signs of never-ending hunger, overeating and excess weight gain. 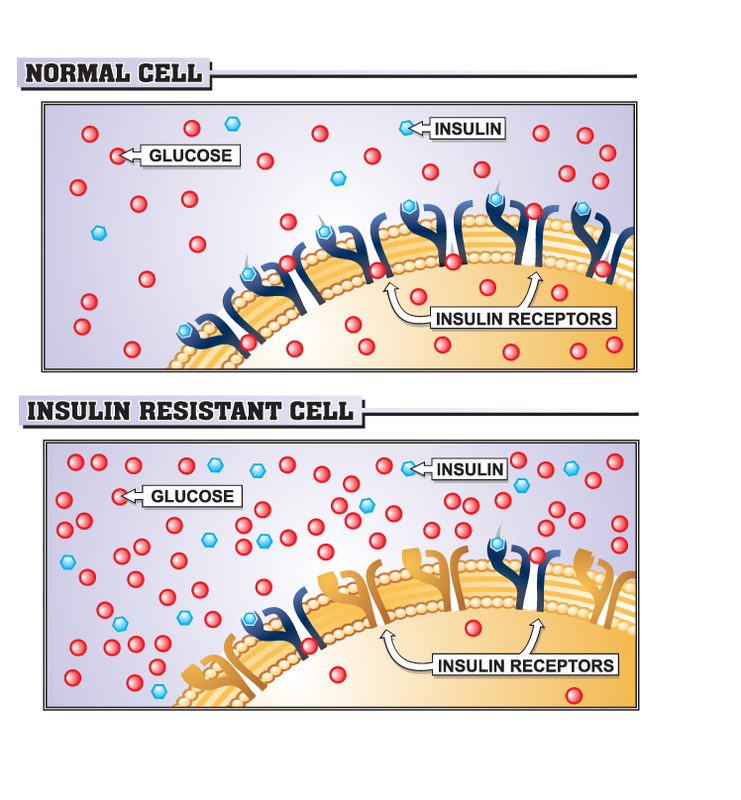 Insulin resistance is often considered to be a precursor to Cushing’s Disease. Cushing’s Disease – seen in older horses – occurs when the pituitary gland in the brain begins to wear out causing elevated and abnormal levels of ACTH (adrenocorticotropic hormone) and cortisol. High levels of cortisol also interfere with the normal action of insulin on the cells. Cushing’s is frequently considered to occur with a tumor in the pituitary gland in the brain, however most cases just have some abnormal cells in the aging pituitary gland, while a few have an actual tumor. 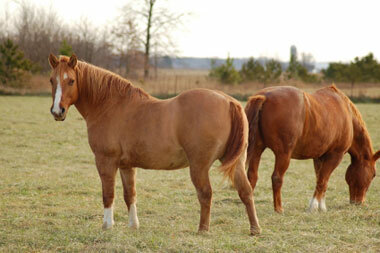 SYMPTOMS: Horses with insulin resistance tend to be overweight even when they are fed less. Since their body cannot use glucose properly, it is inappropriately stored as fat. IR horses are often found to have excess fat deposits in their crests, backs and rumps. Horses with IR also have reduced energy levels because the glucose does not get into the muscle cells for fuel. It can be very difficult to get these horses to work or exercise because the muscle cells are starving even though the horse is fat. Lack of exercise also contributes to the problem of obesity in these equines. Skin conditions also run rampant in insulin-resistant equines and seemingly “simple” cases of rain rot or pasture scald take much longer than normal to resolve because of the exaggerated inflammatory responses in these horses. The single biggest problem for horses with IR is recurrent laminitis (also known as “Founder” – from the maritime term meaning to sink). 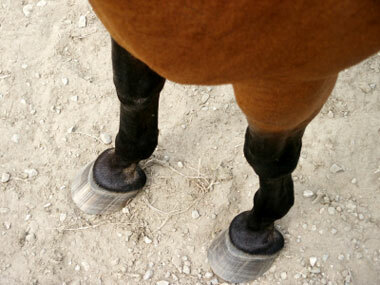 Just like diabetic humans with heart disease and circulatory problems in the legs, laminitis is intensely painful and a strong tip-off that a horse needs to be tested for IR. With an altered and sluggish glucose metabolism, it is believed that is, in turn, leads to the disruption of the hoof structure or laminitis. » Bulges above the eye in areas typically hollow. In addition to observing the symptoms listed above, early insulin resistance can be diagnosed with specialized blood tests. Tubing the horse with glucose to measure the insulin response or giving intravenous infusions of glucose and insulin are two possible procedures but do carry some risk of inducing laminitis in a sensitive horse. More advanced cases can be diagnosed by simply checking the horse’s insulin level. In the early stages of IR, the cells may be resistant to insulin, but the blood levels may not show it yet. The clinical signs can confirm the diagnosis, however. Since human medications are not administered to horses to treat insulin resistance, careful attention must be paid to diet and exercise with the insulin-resistant horse. When the horse exercises, glucose gets into his muscles by pathways that do not require the presence of insulin; and that effect can last as long as 24 hours. Formally exercising your insulin-resistant horse every day – approximately 20-30 minutes of moderate, non-stop exercise -- decreases the overall need for insulin. Avoid strenuous exercise – for example, exercising in short, fast spurts – until your horse is fit enough to handle the intensity. Diet is as critically important for IR horses as it is for human beings, dogs and cats. Controlling the diet is key to returning the horse with IR to a normal weight and avoiding or alleviating painful laminitis – a common side effect of IR. IR horses can still be given a lot of food. These horses aren’t fat because of the amount they eat -- the issue is WHAT they were eating. The core of the IR diet is grass hay with very low sugar and starch content. The grain hays, like oat hay and brome, are very high in sugars and starches and should be avoided. Bermuda or a native prairie grass is usually low. Orchardgrass hays and Timothy vary widely. Alfalfa is also best avoided, but may useful if low in NSC and the horse can tolerate it. Look for hay that is likely to be safe and then have it tested to be sure that the NSC (Non-Structural Carbohydrates) level is low and mineral levels are appropriate. The good news is that once you have found low NSC hay, the horse can be fed as much as two percent of his bodyweight per day -- so, twenty pounds a day for a thousand-pound horse. » Pasture Grass (horses can still be turned out to pasture with a muzzle, unless they are very sensitive to grass, gain weight extremely easily or have had recent bouts with laminitis). Another staple in the IR horse’s diet is plain beet pulp with no molasses added. Plain soaked beet pulp can be substituted for any grain previously eaten. It may be used as the vehicle for delivering vitamins and minerals. You can spice it up by adding four oz of stabilized flax, whole flax seed, hemp seeds or Chia seeds to provide Omega 3 Fatty acids which help make the muscles cells more permeable to insulin. 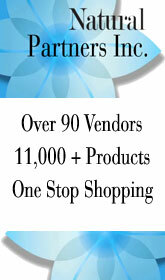 Free choice minerals without salt added are very beneficial, and be sure salt is always available. By following the diet guidelines above, your insulin-resistant horse should begin to lose weight, regain his energy and enjoy a better quality of life. It is very important to commit yourself to doing everything possible for your horse’s well- being and good health. However, in many cases supplementation with nutrients known to help get the glucose into the cells will be needed before true weight loss can be achieved, so do not give up on the weight loss program. The following nutraceuticals or natural/herbal formulas can also provide effective treatment for your equines living with insulin resistance, Equine Metabolic Syndrome and/or Cushing’s Disease. » Magnesium Citrate: Helps improve the insulin receptivity in the cell walls. » Chia Seeds: Helps stabilize cell membranes as a strong source of Omega 3 fatty acids. » Flax/Hemp Oil/Meal: Supports the immune system and also works to improve efficient glucose metabolism. Hemp-based nutrients to aid glucose metabolism, weight loss. Supports insulin metabolism, tonifies Spleen, useful when no inflammation is present, fat is mildly lumpy. Clears Damp and decreases inflammation, support insulin metabolism, esp. in springtime, with lumpy fat deposits. Excellent for antioxidant properties in laminitis cases, especially if anti-inflammatory drugs are not being used. Can help stabilize blood sugar. Improves insulin receptivity in cell walls. Supports insulin metabolism, palatable liquid formula. Adaptogenic herbs, support the immune system, adrenals, reduces stress, helps horses adapt to stress. Glandular; supports the hormonal system, usually used with pituitary imbalance, older horses. Stabilizes membranes, source Omega 3 fatty acids. Clears stagnant food; enhances digestion. Increases Qi and Blood, tonifies kidney yang, enhances energy levels and performance. These formulas below are for horses with more advanced symptoms and/or laminitis. Supplements above can be used for support. Hemp-based nutrients to aid insulin resistance and GIT damage. 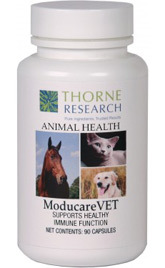 Support pituitary function, insulin and glucose metabolism, helps shed winter coats. Improves glucose transport through cell wall. Improves insulin receptivity in cell wall. (Always consult with your veterinarian to properly diagnose any health problems. Misdiagnosis and/or mistreatment -- including OTC and/or homeopathic products -- can lead to dangerous complications.